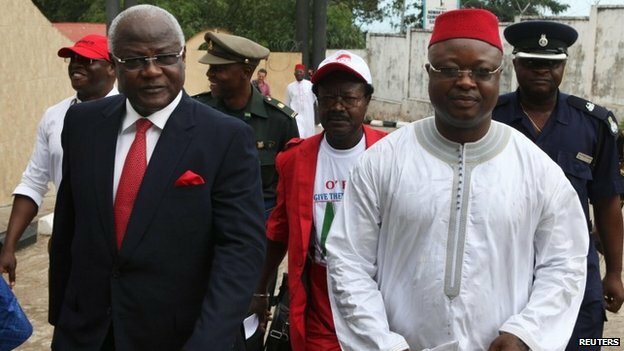 The Supreme Court hearing into president Koroma’s decision to sack vice president Sam Sumana, without due process as enshrined in the country’s Constitution, started this morning in Freetown. 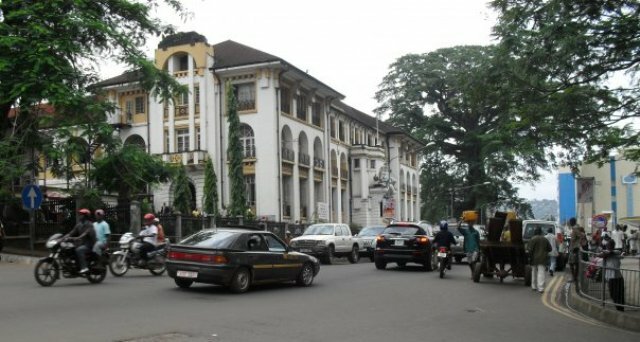 Five Supreme Court Judges, including Justices Valesius Thomas – the country’s acting chief justice, Nicholas Browne Marke, Eku Roberts, Patrick Hamilton and Vivian Solomon, this morning heard a ‘Notice of Motion’ presented by lawyer J.B Jenkins Johnston, who is the lead counsel for the Plaintiff – former vice president Chief Alhaji Samuel Sumana. Sam Sumana is seeking an interlocutory injunction to restraint Mr. Victor Bockarie Foh from acting as and, or carrying out the functions of the vice president of Sierra Leone, pending the determination of the matter before the Supreme Court, in respect of the action of the president to “relieve” him from the office of vice presidency. Lawyer Ajibola Manley-Spaine is the lead counsel for the 2nd Respondent Victor Foh, whiles lawyer Berthan Macauley (Jr) is serving as the lead counsel for the Attorney General, who is the 1st Respondent. As a sitting president cannot be taken to court, hence the Attorney General is standing on behalf of president Koroma. 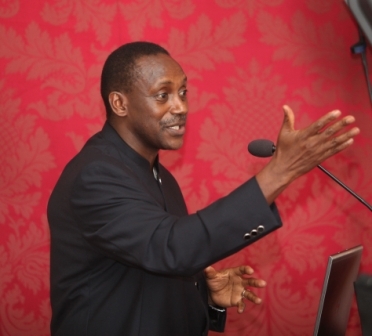 The Editor of the Sierra Leone Telegraph today spoke to presidential hopeful – Dr. Kandeh Yumkella. 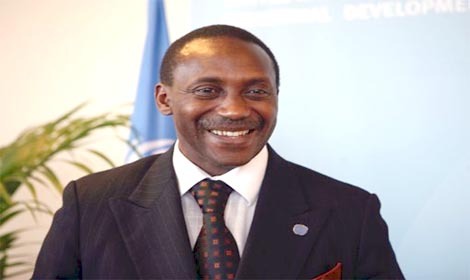 Three weeks ago, the editor of the Sierra Leone Telegraph – Abdul Rashid Thomas, spoke with presidential hopeful – Dr. Kandeh Yumkella, who had just arrived in Freetown to help resolve the constitutional impasse amicable. But it seems all attempts to get both the president and the sacked vice president to resolve their differences outside of the Courts, had failed. Dr. Yumkella, the last time we spoke, you were in Sierra Leone to help resolve this constitutional crisis through dialogue. What is your view now of the crisis, especially as the Supreme Court hearing starts today, which could take several weeks – if not months to reach a decision? Two weeks ago, I presented my views on the current constitutional crisis in our country. Many of us have strongly advocated for legal action at the Supreme Court. I am happy to see that several cases will be filed in the court, in addition to the one filed by the Vice President. Are you confident that the Court will maintain its independence, in pursuit of justice and the rule of law? I respect these judges very much. So I remain hopeful and cautiously optimistic. That sounds as though you are hopeful, but not confident, or are you simply being diplomatic and equivocal? I am hopeful because I am convinced that the judges understand the gravity of the issue before them. I also know some of them personally, and know that they are honourable men and women. However, I am cautious because the judicial system has a penchant for adjournments, adjournments and adjournments. For example, the Alie Bangura case has been there for two years and still we see more adjournments. You have observed the heavy traffic in social media concerning this constitutional issue. You have also seen the demonstrations taking place and others planned in some western capitals. 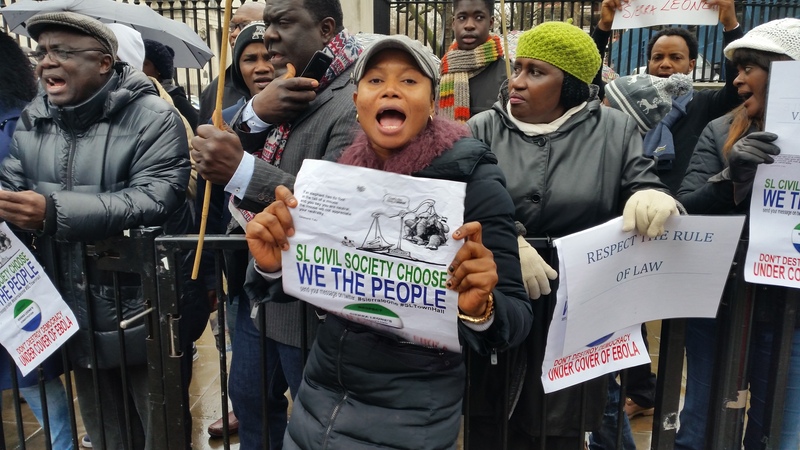 What is your view on this new wave of Sierra Leonean activism? As the court gets ready to begin its deliberation, citizens should also have the freedom to express themselves and to associate. A basic hallmark of every democracy is the freedom of citizens to express their views in a nonviolent way when an issue of such gravity as the one being considered by our highest court comes up for consideration. They can also express their views after the decision is taken. 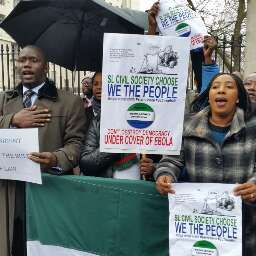 As a matter of principle, do you support demonstrations in this case? On March 3rd this year, President Barack Obama, led thousands of Americans to celebrate the courage, sacrifice and valour of the men and women who 50 years ago marched from Selma to the Alabama, to protest against the segregationist policies and express their desire to exercise their constitutional right to vote. In his commemoration speech, Obama noted that there are places and moments in America where the nation’s destiny had been decided. Selma was such a place! 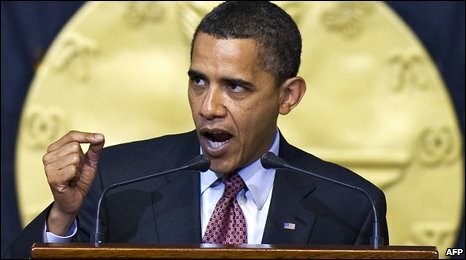 Obama also said this: “We gather here to honor the courage of ordinary Americans willing to endure billy clubs and the chastening rod; tear gas and the trampling hoof; men and women who despite the gush of blood and splintered bone would stay true to their North Star and keep marching towards justice”. Similarly, our turbulent political history in Sierra Leone has been marked by moments where our people have endured colonialism, military coups, execution of political opponents, and the one-party oppression that led to the brutal civil war. Like Americans, we suffered through a brutal civil war – with sacrifice of over 50,000 lives. All these struggles and our democratic dreams and aspirations are embodied in our 1991 constitution. There are various ways to defend it. In addition to litigation, there is sometimes a need to march. Will you be prepared to participate in a march now or in the future? Yes I will, and will do so when necessary – the day I leave the U.N. I am planning a march now for energy, women and children’s health to be held in New York this year. But we are not allowed by our protocols to do political demonstrations. After my UN service, I will march, if and when necessary, and only for good and serious causes. As you know, I used to be an activist since secondary school, and through my undergraduate days. I also participated in the anti-apartheid demonstrations and seat-ins at Cornell University, and worked for minority affairs for many years at the University of Illinois. So, non-violent activism for social justice, in the traditions of Mahatma Ghandi and Martin Luther King, has been part of my life for decades. My current work on ending energy poverty has required me to create a movement and be in many locations to give voice to the energy poor. It is also part of promoting what some have called energy and climate justice. With the Supreme Court hearing having commenced today, what more can be done to bring the crisis to a swift and less acrimonious end? We must all follow the prescriptions laid out in the constitution and let our voices be heard. Ultimately, our constitutional evolution is in the hands of the judges. So what are the key issues confronting the Supreme Court now? Sierra Leone’s Constitution is unequivocal on matters pertaining to the sacking of an elected vice president. It says that no one or authority has the power to relieve a sitting vice president, other than parliament. And parliament itself is constrained by the relevant sections of the constitution, which clearly states the procedures that must be followed by parliament, where parliament is of the view that the behaviour of the vice president, tantamount to gross misconduct. In such a case, a motion for impeachment must be brought to the notice of the Speaker of parliament, who then establishes an investigating committee to investigate the allegations of misconduct. The constitution requires that the accused president or vice president must be granted the right to examine all the evidence of misconduct that have been brought to the purview of parliament, before the committee can make a decision which then goes to the Speaker of the House. The constitution further requires that the findings and the decision of the committee must then be discussed by the full House of parliament, and a vote taken as to whether the vice president must then be impeached and stripped of his duties as vice president. From what had transpired within the ruling party, and given president Koroma’s decision to sack vice president Sam Sumana from the office of vice presidency without any recourse to parliament, will the Supreme Court firstly, grant Sam Sumana the injunction he is requesting for the newly appointed vice president Victor Foh to be stopped from taking up that office, until the Supreme Court finally concludes its deliberations? The view of the Sierra Leone Telegraph is that it will be very difficult for the Supreme Court not to grant an injunction, at least until the matter is finally concluded in the Courts. We further believe that the Court may rule that the Speaker of the House should take on the office of vice president until the trial is over. The reason for this being that, president Koroma not only failed to go through the parliamentary procedure in sacking Sam Sumana, but also failed to allow the Speaker of the House to at least temporarily act as vice president, until such time that the constitutional issue regarding the sacking of the vice president has been resolved. But today in Court, lawyers for the Attorney General argued against the injunction, saying that, to keep the office of vice presidency vacant, could cause irreparable damage. It is highly unlikely the Court will accept this argument. Kandeh Yumkella is uncompromisingly steadfast in ensuring the interpretation and implementation of supreme dictates of the ‘Rule of Law’ is enhanced. This is a landmark case, and will prove whether judiciary exists or it is just a rubber stamp for Koroma. This interview really helped to clear up lingering questions I had. Now I see the sinister plan that was in place. This is why they went all out to remove Abel Stronge as Speaker. I guess they couldn’t take a chance of having him as second in command if their plan to remove the VP didn’t go smoothly. There is still a chance the Supreme Court could decide the current Speaker should serve in the role of VP until this matter is resolved. In any case it is win win for EBK – whether it’s his handpicked puppet Foh or his schoolmate Dumbuya – if this is the decision of the justices. This court will make history. We just don’t know what the narrative will say. It’s amazing that Sierra Leone makes supreme court judges retire at 65. Right now they could use the wisdom and knowledge that only comes with age.